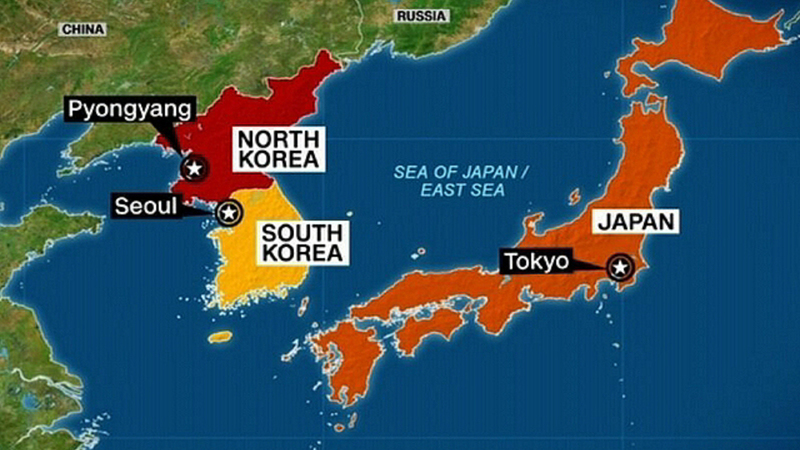 (Compiled from articles at Nikkei Asian Review and NY Post by Bob Fredericks) – Japan is planning for a possible mass evacuation of the nearly 60,000 Japanese citizens currently living in or visiting South Korea in the wake of North Korea’s latest nuclear weapons test. There are approximately 38,000 long-term Japanese people living in South Korea, as well as another 19,000 or so tourists and other travelers. urging them to shelter in place if hostilities break out. The Japanese Self-Defense Forces (SDF) would need permission from South Korea’s government to operate inside the country. Approval has not been forthcoming and could provoke a backlash from a South Korean public harboring historical grievances against their former colonial ruler Japan. But SDF vessels could help in ferrying Japanese citizens home from Busan.